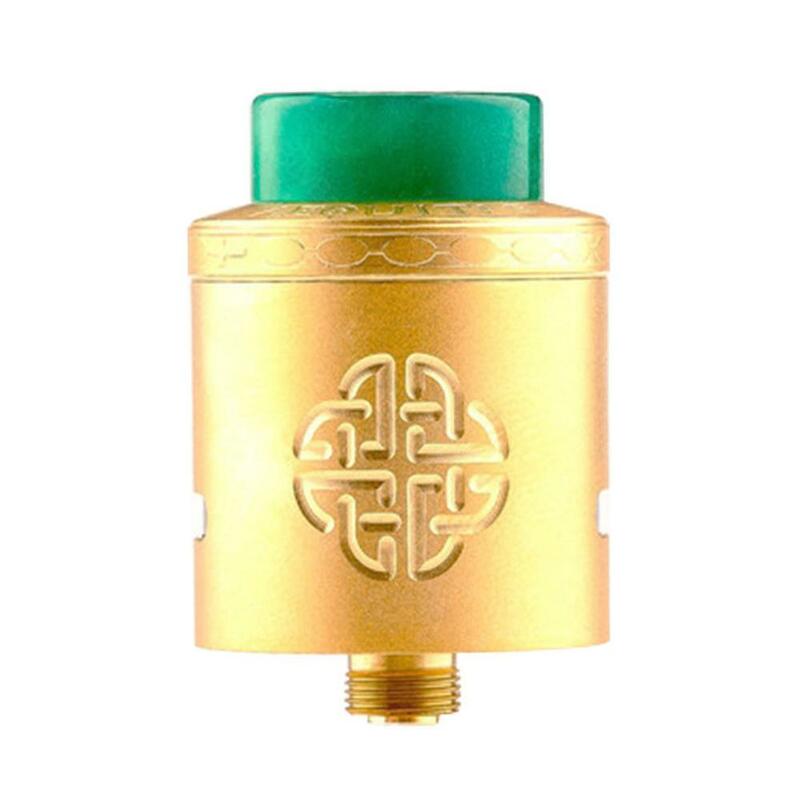 Hellvape Aequitas BF RDA is a 24 mm diameter rebuildable tank, features a colorful delrin 810 drip tip and a 510 adapter, you will like the elegant appearance and advanced design. The Aequitas comes with 2 airflow options, gold plated postless raised style deck and 2.5mm square post holes to handle any build you throw at it. Hellvape Aequitas BF RDA is a 24 mm diameter rebuildable tank, features a colorful delrin 810 drip tip and a 510 adapter, you will like the elegant appearance and advanced design. The Aequitas comes with 2 airflow options, gold plated postless raised style deck and 2.5mm square post holes to handle any build you throw at it. It can also work with sqounker mods because of the gold plated squonk pin included. Get this Aequitas BF RDA to get amazing flavor! • Please note that color of the Aequitas RDA drip tip is random. The picture is only for reference. Hellvape Aequitas BF RDA Atomizer with a Coil Resistance of 0.3ohm suit for 30W to 60W. 5pcs SMOK Micro-CLP2 Coils.